The versatility of these cage tippers has proved to be popular amongst both private firms and local councils to transport household and industrial waste. Our caged tippers are also maintained to the very highest standards so you can always depend on them. The sliding access doors and steps allow for greater maneuverability to make your project as stress free as possible. 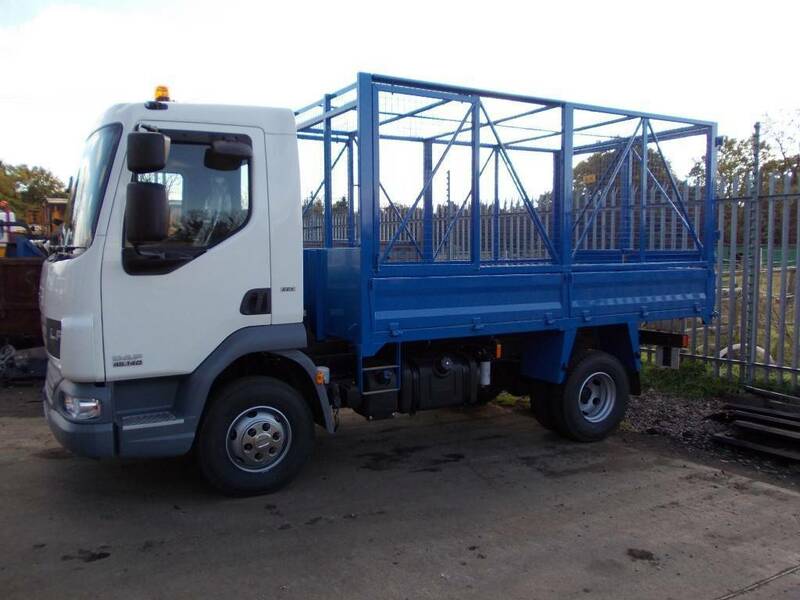 Cage tippers also provide extra space and stability for transportation of larger goods meaning they can be helpful no matter the size of the job and our 7.5 Tonne GVW Cage Tipper is the perfect example. With a tow bar, beacon bar and reverse camera, it is the ultimate in cage tippers. One of the major benefits of hiring cage tippers over regular tippers is the extra security they provide. Should you be transporting anything of value, the regular tipper can be vulnerable to thieves. Our cage tippers are extremely well secured and can be strengthened further with a padlock to ensure your load is transported safely and securely without the need for constant supervision. At ND Brown we are experts in HGV hire and our cage tippers are now available in London as well as Manchester, The Midlands, Birmingham and as far as Scotland. We offer a fast, reliable deliver and collect service so no matter the length of your project we can help. We have vast experience in the HGV hire market and have legions of satisfied customers. If you would like to hire one of our caged tippers you can fill out a booking request form or contact us directly. We will be more than happy to help you with your enquiry.